C3300/3400/3450/3600 / C3520MFP / C3530MFP/ MC 360MFP. HC Toner Crtr Black (2,5k). ..
C3300/3400/3450/3600 / C3520MFP / C3530MFP. HC Toner Crtr Cyan (2,5k). ..
C3300/3400/3450/3600 / C3520MFP / C3530MFP. HC Toner Crtr Magenta (2,5k). ..
C3300/3400/3450/3600 / C3520MFP / C3530MFP. HC Toner Crtr Yellow (2,5k). 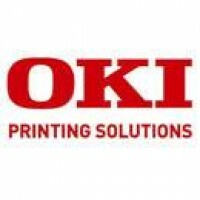 ..
OL 400e/410/600/810/Okipage 6e/6ex, OF5200/5400/5650/5680 Toner (2,0k)..
OKI Page 4W/4M, Office 44, OLYMPIA OF806, Lanier Fax 4050 ..
C5100/C5200/C5300/C5400 HC Toner Crtr Black (5K) ..
C5100/C5200/C5300/C5400 HC Toner Crtr Cyan (5K) ..
C5100/C5200/C5300/C5400 HC Toner Crtr Magenta (5K) ..
C5100/C5200/C5300/C5400 HC Toner Crtr Yellow (5K) ..
C5600/C5700 Toner Crtr Black (6k). ..
C5600/C5700 Toner Crtr Cyan (2k)..
C5600/C5700 Toner Crtr Cyan (5k)..
C5600/C5700 Toner Crtr Magenta (2k) ..